It was an institution on Fremont Street for over seventy years but the Las Vegas Club could not survive in 21st-century Las Vegas. Word came down in the last couple of weeks that the venerable casino was closing for good. No word yet on what will take its place at the corner of Main and Fremont Street but it is well worth remembering the history of not only the Club but that corner as well. The Las Vegas Club was originally located across Fremont Street in the block where the Pioneer Club once was. At that location it had been home to several different businesses including the Isis Theater in the early days of Las Vegas. The Isis gave way in the 1920s to the Las Vegas Hotel and Cafe and then became the Smokehouse Restaurant. The Smokehouse had a tough go of it at that time. The Union Pacific Railroad had pulled out of Las Vegas during the strike of 1922. While trains still came through hauling passengers and freight, the machine and welding shops were closed. "Live was pretty tough in those days", remembered the late Ed Von Tobel, Jr. The Las Vegas Club would remain at this location untlil the late 1940s. It was then that owner Kell Houssels, Sr. moved the Club across the street to its present location. The new location was already steeped in Las Vegas history. In the beginning it was the Overland Hotel. Pictures of the Overland Hotel dating back to 1906 can be found on old postcards and at Special Collections and the Nevada State Museum. John Wisner bought the property at the 1905 land auction for $1,750. (Don't ya wish you had a time machine?) and built the Overland Hotel. They rebuilt the Overland bigger and better. It now had a free sample room where traveling salesmen could display their wares. George Foley, Sr recalled a trip to Las Vegas with his father in 1926 when George was just a boy. They stayed at the Overland and George remembered "I looked out the window that night and Fremont Street was only lit by one bare light bulb and I remember feeling very afraid". 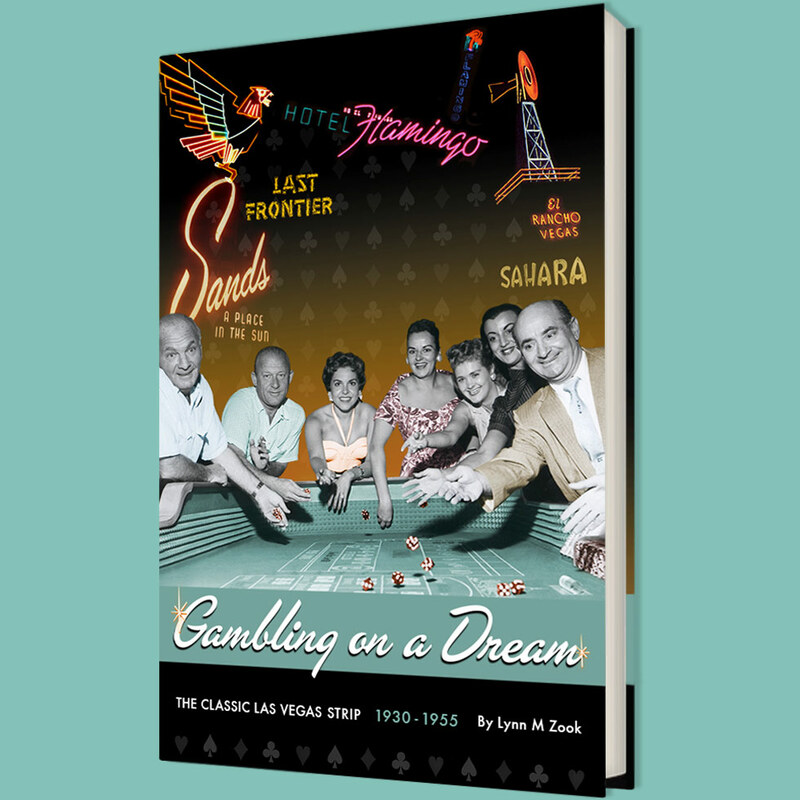 The casino thrived in those classic days as Gaughan and Exber understood the tourists and locals who frequented Fremont Street. Once Gaughan sold the property in 2002 to the Tamares Group, the casino/hotel began to falter. They tried opening a new poker room in 2007 and toyed with the idea of turning the place into a high-rise condo/hotel. Those plans evaporated in the wake of the Great Recession. There was talk of turning the eastern part of the property into a mega-pharmacy (because the one thing Las Vegas needs is another CVS or Walgreen's, I guess) but finally the owners sold to Greg and Derek Stevens, current owners of the Golden Gate and D Hotel. There is talk of renovating the Club but as of now, no one is sure what will happen to the property.